We are your premier Southern California Goodridge G Center specializing in the Finest quality Goodridge hose and fittings at reasonable prices and with Precision Service. Goodridge Hose Products are used in today's most demanding applications - Off-road Racing, Cart, NASCAR, SCORE, AMA, PCA, SCCA, Power Boat Racing, Motorcycle Racing, Drag Racing, Mountain Bike Racing and more. J2 Precision Hose combines the newest equipment, finest materials available and an obsession for perfection to promptly deliver precision custom hoses that meet or surpass your requirements - and at reasonable prices! At the cutting edge of motorsport, a fraction of a second is the difference between winning and just taking part. You need the best. At J2 Precision & Goodridge we have combined our 30 years of motorsport experience with a continuous research and development program, to bring you the ultimate PTFE hose... one product that incorporates all the advantages of both convoluted and smooth bore designs. Staubli has been a leading quick release-coupling specialist for over 40 years and has uniquely developed this range of couplings specifically for motorsport applications. Staubli couplings offer the variety, performance and the response needed for our industry. Couplings are available in titanium and aluminum. To ensure you have the correct product for your specific need please contact our sales team, or see the STAUBLI PDF catalogue. Rapid, constant rapid gear changes and heavy braking put great strains on competition hydraulic systems, where failure can be disastrous. It strongly resists expansion under high pressure and temperature, provides consistent brake and clutch pedal pressure giving firmer and more efficient operation without that spongy feeling. Offering protection against abrasion and fire, these hoses are also recommended for all pressure gauge lines and fire extinguisher systems. Use dash size 3 for most braking systems and dash size 3 or 4 for clutch systems. Dash 2 hose is the smallest brake hose available. Its microbore construction can give increased line pressure and more responsive and sensitive brake feel. Excellent for all 4 and 2 wheel braking applications whether for the circuit or road. Goodridge 200 Series hose is the premier stainless steel braided nitrile hose. Designed to Goodridge’s exacting specifications and exclusively manufactured for Goodridge, this hose has been supplied to motorsport racing champions for many years. 200 Hose is designed for use with a wide range of re-usable aluminium hose ends and provides essential protection and resistance to high pressure, temperature, vibration, fire risks and chafing. It is constructed of a seamless synthetic CPE inner with an integral stainless steel braid and a high tensile stainless steel outer braid. 200 Series hose has the highest corrosion and fire resistance threshold of any stainless braided nitrile hose available. It can be used with all synthetic lubricants, fuels, oils, coolants and alcohols including methanol and nitro methane. This hose is perfectly manufactured for efficient and reliable use with 136, 1136, 236, 336 and 736 Series Hose Ends. The traditional racing hose. The most comprehensive range of lightweight, re-usable alloy hose ends precisely engineered to fit our 200 series Hose. Our Aerospace standard Triple Seal/Double O ring nitrile, cutter design ensures a secure, leak free connection every time. 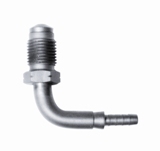 All 236, 336 and 1136 Series Hose Ends allow for all time alignment with their 360-degree swivel ends. 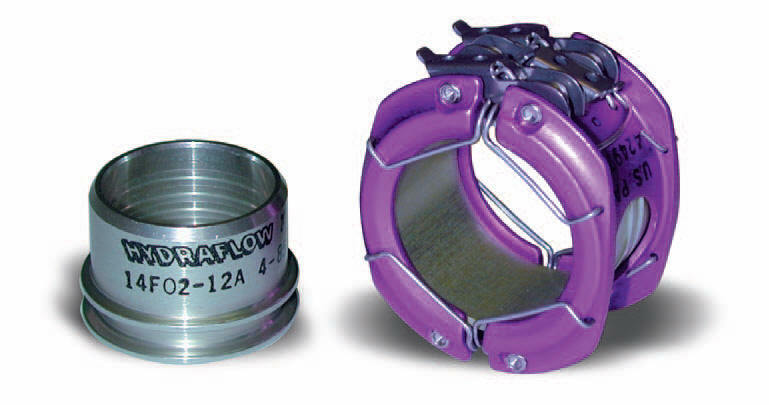 Our 236 Series has our full flow bent tube bodies, giving increased flow characteristics. The 336 Series has forged style bodies, offering that added measure of strength. They are bright anodized red and blue for longer life and color retention. Goodridge Push Fit 536 Series Hose is an exclusive product manufactured with a special reinforced internal textile braiding and blue elastomer cover. This high quality hose is designed for use in lower pressure applications with our new range of 536 Series Push Fit Hose Ends. When the superior performance of stainless braided nitrile hose is not required, Push Fit is an excellent choice offering high quality, reliability, durability and affordability. (not recommended for suction systems). When the strength and rigidity of a hardline is required in a high pressure application, look to our HL836 Series.The perfect compliment to our existing ranges of flexible hose and fittings. Use with our range of female and male pipe nuts. Constructed of cold drawn seamless stainless steel, our HL836 Series Hardline gives consistent flares and non collapsing bends. Aircraft spec flaring tool available to allow you to flare your own tube. Applications: Perfect for brake systems and other high pressure fluid transfer applications. Our international position allows us to offer the worlds widest and most diverse range of AN’s and adaptors at economic prices. Whether it is a true AN or a metric adaptor Goodridge provides the natural link from one thread to another. All Goodridge adaptors are manufactured to the highest possible specifications, metric adaptors meet the ISO specification, other adaptors are manufactured to the correct AN specification where such a specification exists. No company carries more thread applications. Our international marketing requires it. Goodridge stainless steel brake or clutch hose kits are available to suit all models of car, whatever the make. Kits feature the finest quality hose, consisting of a PTFE inner with a stainless steel outerbraid. This eliminates the spongy pedal feel under arduous conditions, giving greater braking efficiency or clutch operation as well as providing superior resistance to abrasion and corrosion. These kits, therefore, not only provide the reliability and safety demanded but offer brilliant good looks that improve the appearance of any installation. Most brake and clutch lines car kit specifications are on file but any additional information is always appreciated. Goodridge has designed a solution for fuel delivery for carbureted and fuel injection vehicles as well as transmission coolers. The introduction of the Goodridge Plumbing Kit solves all the problems with proper fuel delivery in your high performance vehicle. 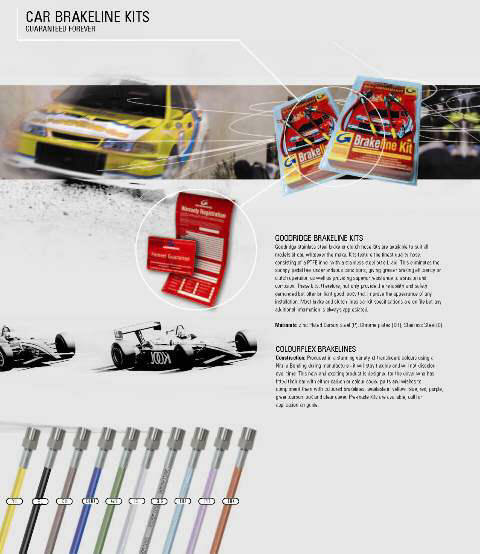 Goodridge brings to the street the same technology that has won us numerous F1 and Indy Car championships. Each Plumbing Kit contains all the necessary hose and fittings to complete the fuel system on your vehicle.Each kit is available in either show quality Electroless Nickel finish or the racing traditional red and blue. • Goodridge EFI fuel rails are machined from 6061 T-6 Billet aluminum. • Larger bore size helps to lower the amount of back pulse created by over sized injectors. • 55% larger fuel capacity above OEM fuel rails. • Works with stock injectors or over sized injectors. 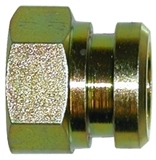 • Additional port for Nitrous set up or for an external fuel pressure gauge. • Capable of flowing enough fuel to support the fuel needs of most Hi-Performance engines. • Anodized in clear and blue. Don't See What You Need? Give Us A Call and We'll Make It For You!! Custom Hoses Are Our Speciality! !